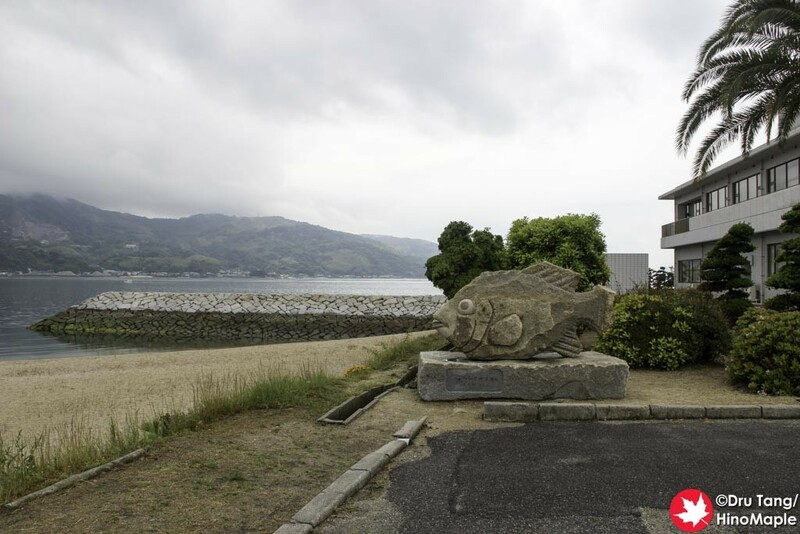 The Hakata S・C Park on Hakatajima was the only real place of interest for me on Hakatajima. 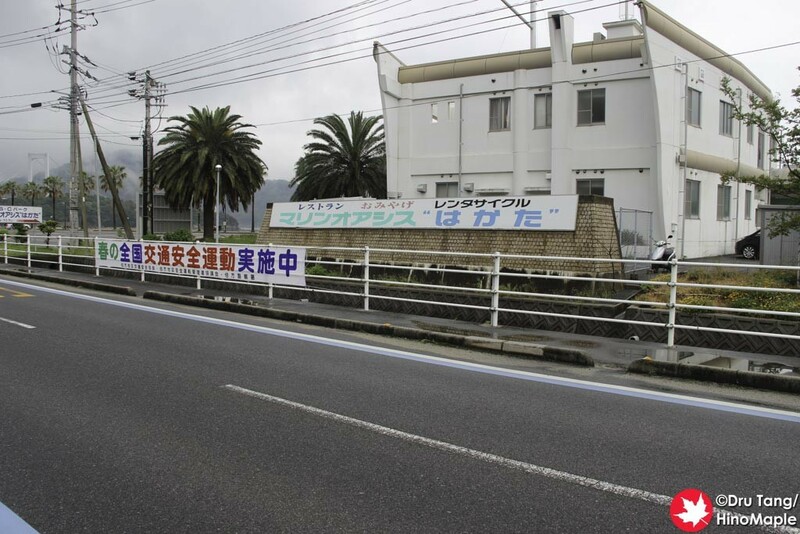 It is a simple rest stop but a little old. The Ehime side of the Shimanami Kaido really does have a different feel when it comes to tourist attractions and how things are run. It felt a bit more commercialized and geared towards tourists, so I wasn’t always that happy with what I was seeing and doing. I still enjoyed myself a lot over there and I would stop there again if I had a chance. Hakata SC Park is near the Hakata Oshima Bridge. 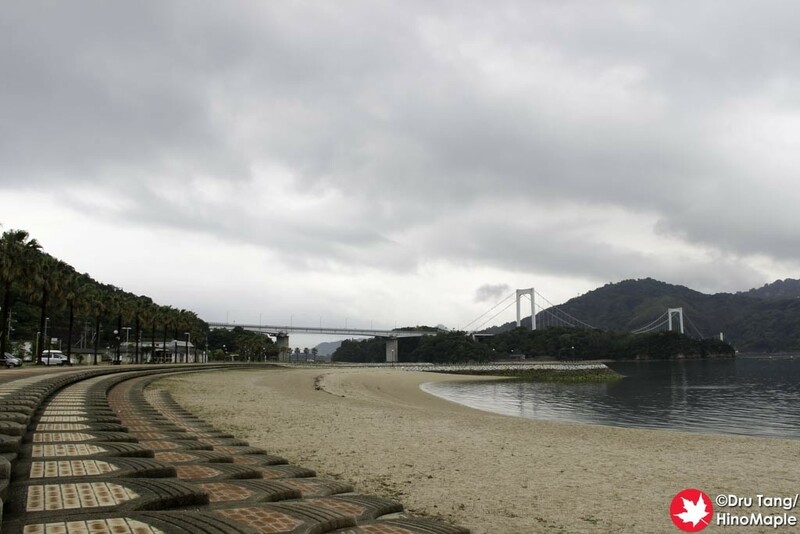 In fact, the approach to the Hakata Oshima Bridge has good views of the SC Park. The SC in SC Park stands for “Sports and Culture”. Obviously you can do a lot of sports such as cycling and swimming and there is a small event hall on the second floor of the main building. There is a lot you can do, but for a typical tourist, there really isn’t too much to do. When I arrived, the first thing I did was unload my bicycle and get to the restaurant. I was hungry and mistakenly didn’t hear “A” say he wanted to eat at the last rest stop. We quickly sat down and decided to get the shio ramen and tai meshi. I don’t normally eat ramen, but considering my only other real option was the curry, I decided a shio ramen was the best bet as it wasn’t too heavy. The tai meshi would be a bit heavy but I wanted to eat as much seafood as I could. The shio ramen at the SC Park is somewhat famous. The owner of Setoda Link did mention that we should eat the ramen there, and it was good. It was nice and refreshing so it was good for the next leg of our trip. I also made a point to rest a bit longer and to get some ice cream. 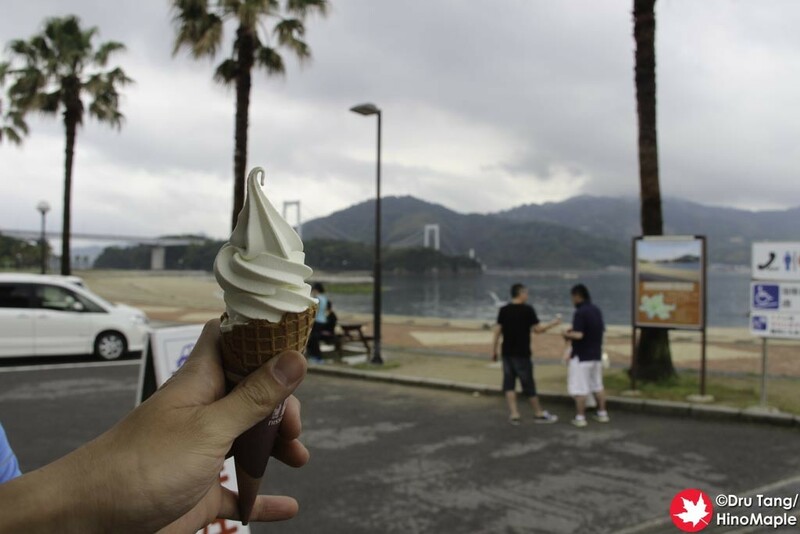 There are two types of ice cream available on the Imabari side of the Shimanami Kaido, and Hakata SC Park had a salt soft serve ice cream; yes, salt flavour. It wasn’t bad but it was a bit salty at first. I didn’t like it at first but as I kept eating it, it did get better, but I wouldn’t get it again. The beach at the SC Park was nice. Sunset Beach on Ikuchijima was nicer but SC Park was nice too. I can see why they built the rest stop here with ample parking as in the summer I’m sure it is a very busy place. They also do barbecues but since it was raining in the morning, and not dinner time yet, I could understand why no one was barbecuing. Overall, SC Park was nice but didn’t live up to the expectations that I had. The building is a bit old looking, but it is comfortable. The restaurant is small but the food was good. The souvenir area was simple but functional. It was a bit busier as it was Saturday and more cyclists were out for the journey. If you need food, this is a good place to stop and you will definitely get your fill. 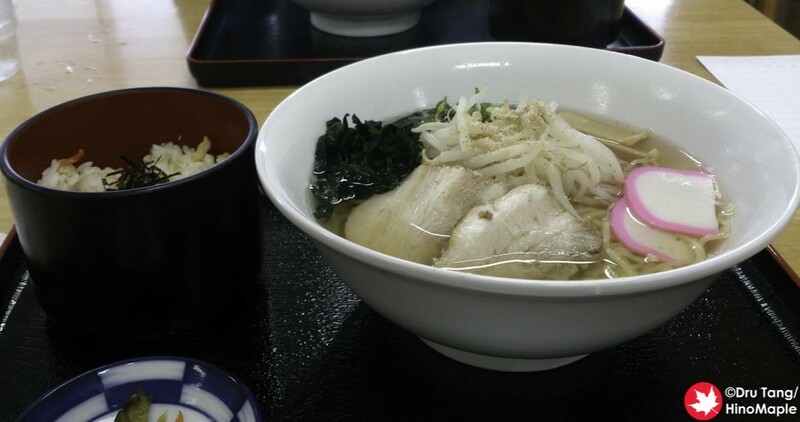 This entry was posted in Shikoku and tagged Hakata Island, Hakata S C Park, Hakata SC Park, Hakata Sports and Community Park, Hakatajima, ice cream, japan, ramen, Salt Ice Cream, Salt Ramen, Shimanami Kaido, Shimanamikaido, Tai Meshi by Dru. Bookmark the permalink.